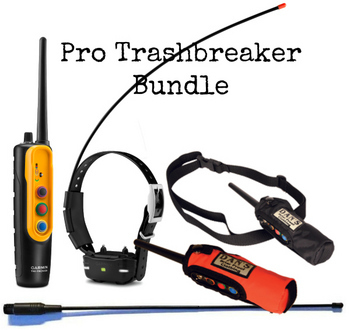 The PRO Trashbreaker with proven Tri-Tronics technology allows intuitive 1-hand training and control of up to 9 dogs¹ from a range of up to 4 miles. A top-mounted selection dial provides 6 levels of stimulation intensity and a tone setting for adjustability without complexity. 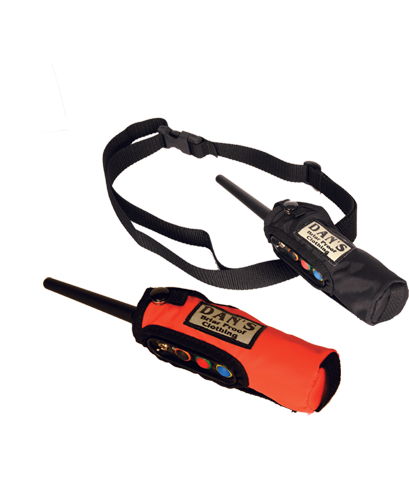 Remote-operated LED beacon lights help you locate your dog in low light conditions. 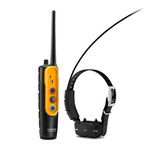 And a built in bark limiter, activated on the dog device, helps keep the peace at home. The PRO Trashbreaker is the simple and effective way to train your dog to stop chasing the wrong game. 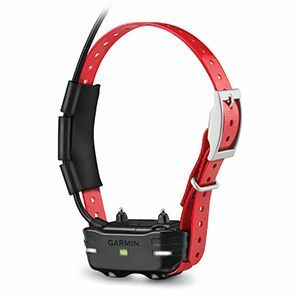 Built-in BarkLimiterChoose from 6 levels of continuous stimulation or tone for up to 9 dogs at a time (additional dog devices required; purchased separately). 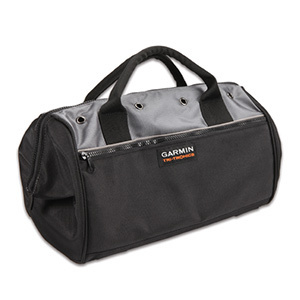 Stimulation strength has been increased at the top setting for enhanced effectiveness and choice over the entire range. You can also remotely control the LED beacon lights built-in to the dog device to help locate your dog in all conditions. The PRO Trashbreaker’s color transmitter buttons can be paired with matching colored collars to help you keep track of which dogs are receiving stimulation and tone.